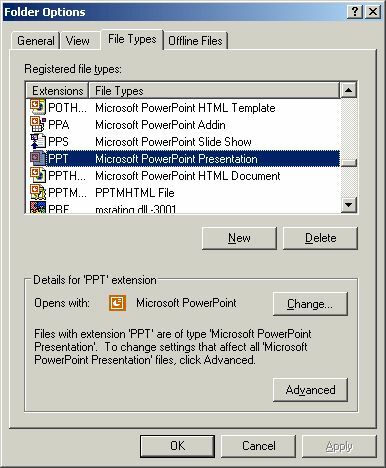 If you have unticked or unchecked the check box of “Always ask before opening this type of file” for a particular file type or file extension on the File Download dialog box when you download the file with Internet Explorer (IE7, IE6 or older) in Windows XP or earlier, you will no longer see the File Download confirmation dialog again. The files will be automatically downloaded once you click on the link, and then open for you as your chosen preferred action. And thus you unable to make a pick of whether to save or open the particular file type in future. If you regretted the choice made and wish to have the File Download save or open confirmation dialog box to appear again as per default setting, just try the following trick. Open any folder with Windows Explorer or open My Computer, and then click on Tools in the menu bar and subsequently Folder Options in the drop down menu. Alternatively, go to Control Panel and select Folder Options. In the Folder Options dialog, select File Types tab. This tab lists every file type associated with Windows and may take a while to open. 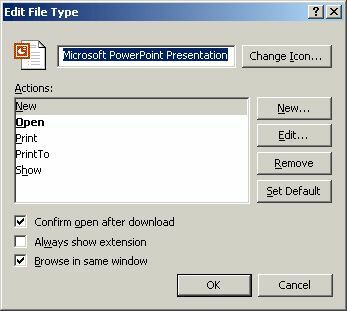 Locate and highlight (select) the file type or extension that you want to revert back the file download behavior to ask for open or save confirmation and stop the automatic opening or saving of downloaded file. Click on Advanced button. You have to log on or login on user account with Administrator or Power User privileges to use this function. In the Edit File Type window, clear (untick) the Confirm open after download check box. Repeat the procedure for other filetype and ext that you want to change back to normal default. For now on, whenever you click a link to download the particular type of file, you will be given either Open or Save As options again. 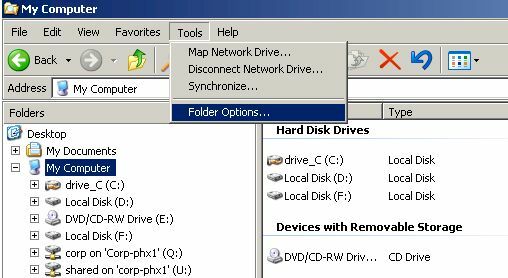 Beginning from Windows Vista, File Types tab is removed. Follow the guide to reset always ask before opening this type of file option in registry.